In the 1960’s, residents of coastal Georgia and South Carolina began to see evidence that salt water was migrating from the Atlantic Ocean and deep high-chloride aquifers into the region’s primary domestic water supply, the Upper Floridan Aquifer. The problem was first recognized in the Hilton Head Area of South Carolina, and later became evident in drinking water supply wells in Brunswick Georgia. In the 1970’s and 80’s, hydrogeological studies provided more evidence that salt water intrusion was occurring. 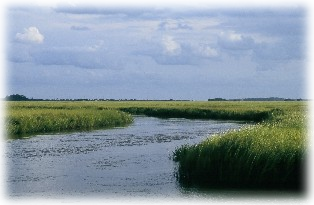 Initial efforts from Georgia and South Carolina focused on reducing withdrawals from the Upper Floridan aquifer though conservation and increasing usage of surface water from the Savannah River. In the 1990’s, as regulatory agencies began to correlate available scientific evidence, population growth patterns, and historical water use habits, it became increasingly clear that steps should be taken to deal with the salt water migration into the Upper Floridan aquifer. In 1997, Georgia initiated a two-stage approach to managing salt water intrusion. First, the “Interim Strategy for Managing Salt Water Intrusion” (Interim Strategy) was adopted. The Interim Strategy instituted a moratorium on groundwater withdrawal permits from the Upper Floridan aquifer within 24 coastal counties. Second, an 18 million dollar scientific study called the Coastal Sound Science Initiative (CSSI) was funded that executed an array of scientific and engineering investigations intended to generate information to guide the development of a more detailed plan for managing salt water intrusion. Funding for the CSSI came from Georgia, South Carolina, Florida, Glynn County, the USCS, and four paper companies. Based on some of the information produced by the CSSI and gathered during the Interim Strategy, Georgia released the Coastal Georgia Water and Wastewater Permitting Plan for Managing Salt Water Intrusion (Coastal Permitting Plan) in June, 2006. 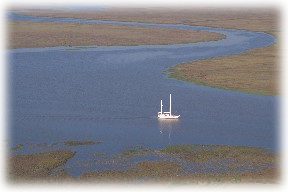 The Coastal Permitting Plan identified coastal regions in Georgia that are most susceptible to salt water intrusion and outlined a management strategy for reducing groundwater withdrawals from the Upper Floridan aquifer in specified areas around Savannah and Brunswick and provides specific water withdrawal management requirements in counties adjacent to the Savannah area. Georgia continued the CSSI through data collection and modeling. 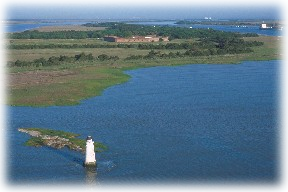 The refinements to the CSSI model that have been completed (Conclusions, May 2010) will be used to better characterize salt water intrusion and be used to determine how best to address this significant issue for Georgia and South Carolina. The States of Georgia and South Carolina have initiated a stakeholder process involving permitted groundwater providers who will be developing, for Georgia and South Carolina review, potential comprehensive management strategies to address saltwater intrusion in the Savannah/Hilton Head region.